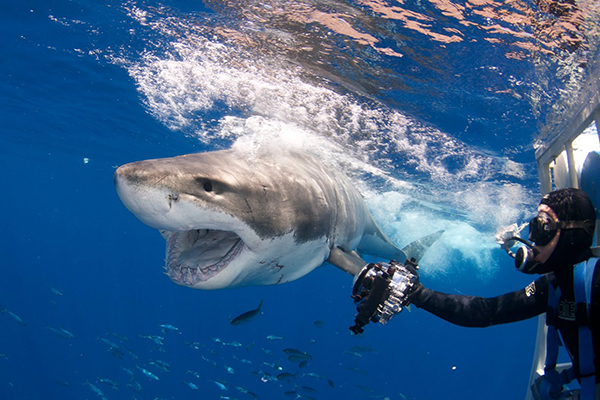 Guadalupe Island is the best place in the world to cage dive with and experience great white sharks. The water is very clear and the sharks are there. 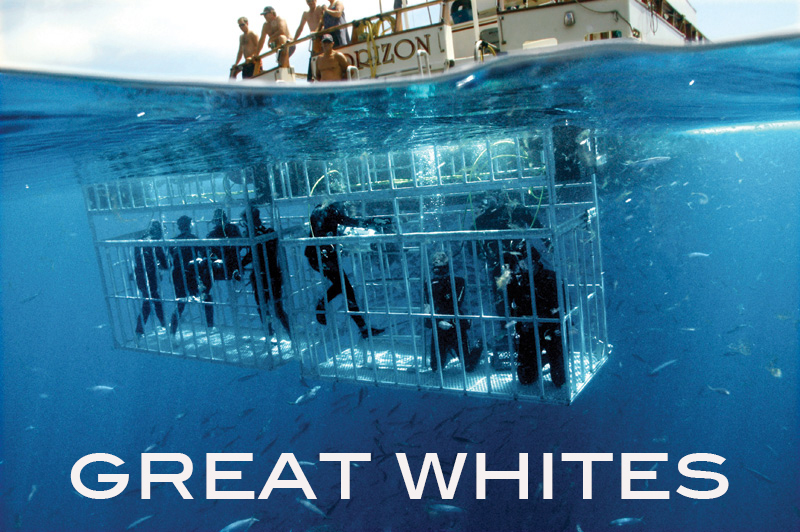 You will see Great White sharks, we guarantee it, all while being educated and pampered by your staff aboard M/V Horizon. Your Guadalupe Island shark expedition is unique as Horizon Charters is the only Guadalupe Island shark diving company departing from the United States. Your safety is number one! No tedious bus ride to Ensenada with us. Board Horizon in San Diego and at trips end step off the boat in San Diego. Sharks are the focus of your journey, but we work hard to ensure that you enjoy every facet of your shark diving vacation from sumptuous home cooked meals to having the staff aboard Horizon help you into your wetsuit…we are there for you every step of the way. Includes: All Mexican permits/visas, beer, Wine, meals on boat, wetsuit, boots, weights and air. Click the logo below to book for 2019! Use Promo Code thescubashop to save $200 off any 2019 Great White shark trip. Need more information on a dive trip? Email divestaff@thescubashop.org at The Scuba Shop or call 480-705-9327!